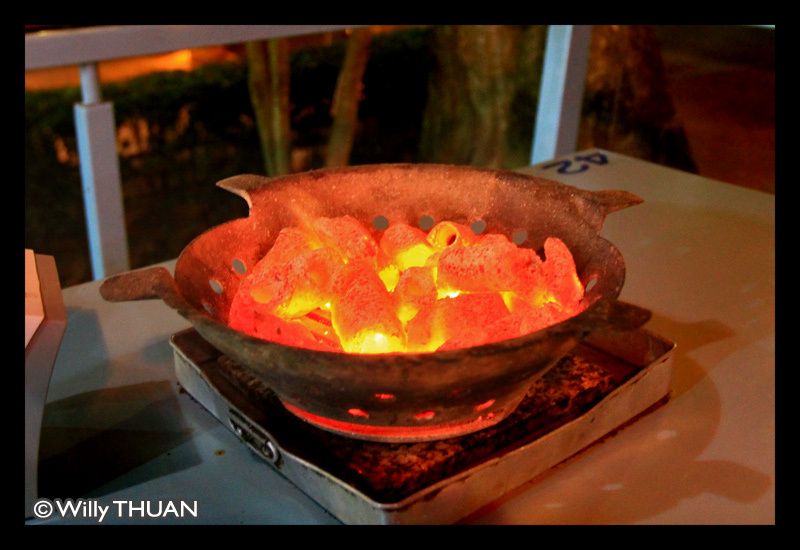 If you stay in Phuket for a while or if like us you happen to live here, there comes a time when you feel like something different for dinner, something good and fun. 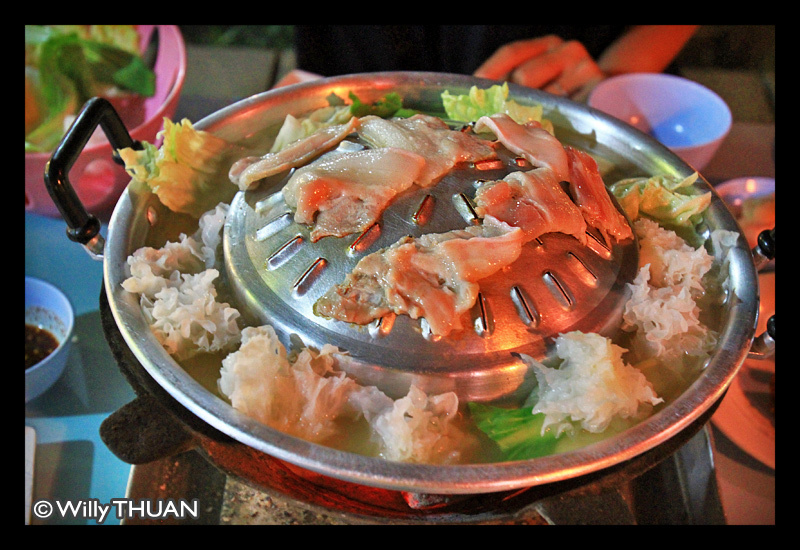 This is usually the day we chose to go to a ‘Moo Kata’ or a ‘Yakiniku’ near Phuket Town. 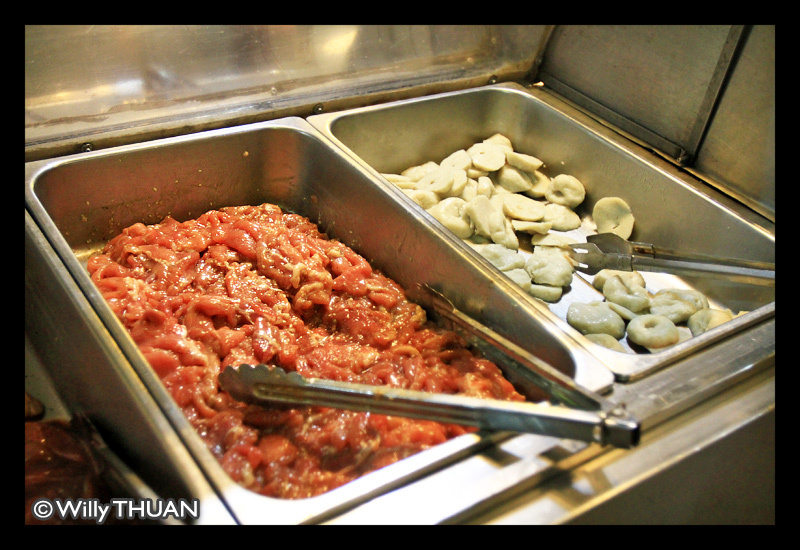 The concept of Yakiniku has always been very popular in Japan and Korea, but less known is the hugely popular Thai version known as ‘Moo Kata’, a cheap ‘all-you-can-eat-cook-it-yourself-at-your-table-buffet’. Moo kata is usually a huge venue set under a large roof often resembling a warehouse or a garage, packed during dinner and crowded on week end. 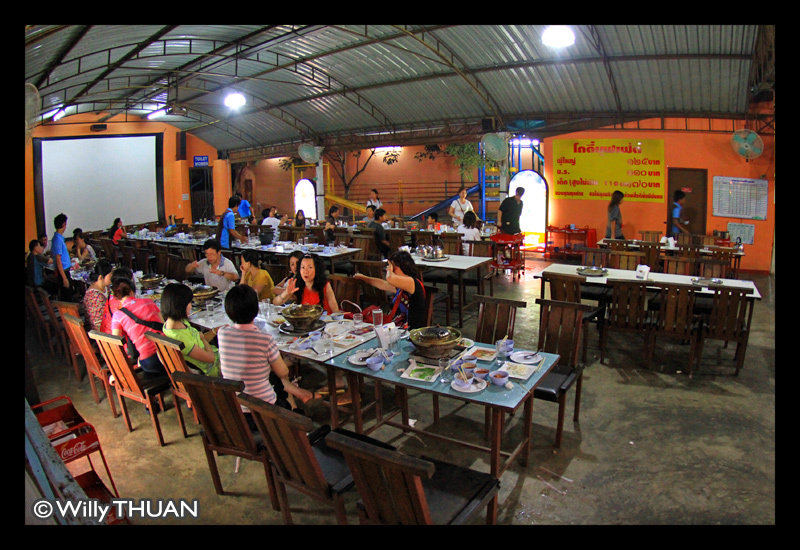 Youngsters and families love to hang there and eat for hours at their own pace without having to pay a fortune.The buffet displays large amounts of raw or marinated meats,veggies, squids and fish balls, noodles and more, but usually nothing really expensive. Funny enough, you can eat all you want, but any left-over would be charged! A smart way to avoid careless eaters and wasted food, and since I never met anyone who had to pay, I suppose it works. We went there quite few times and it’s not bad, kind of fun, but there are downsides: the heat… and the smoke! After dinner, wherever you go, anyone in a 3 meter radius will be able to tell you where you went for dinner! 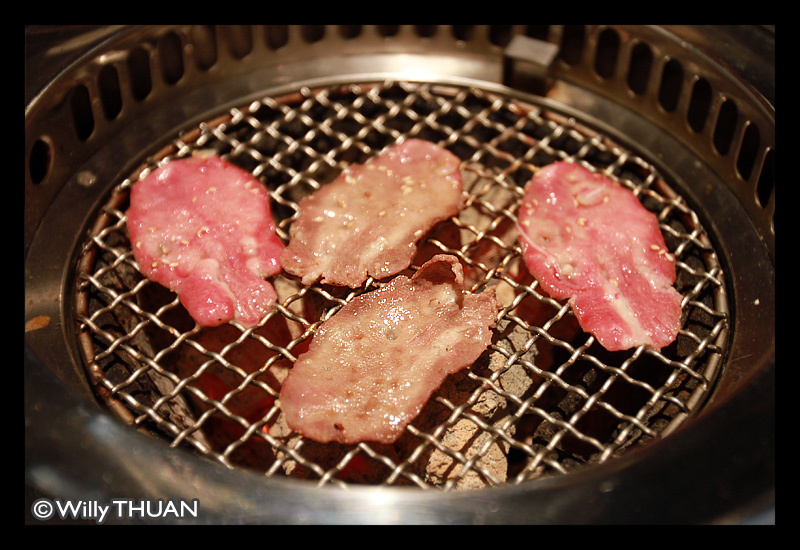 That’s why we usually opt for a Yakiniku, the more sophisticated version of the ‘Moo Kata’, set with air con and strong ventilation. 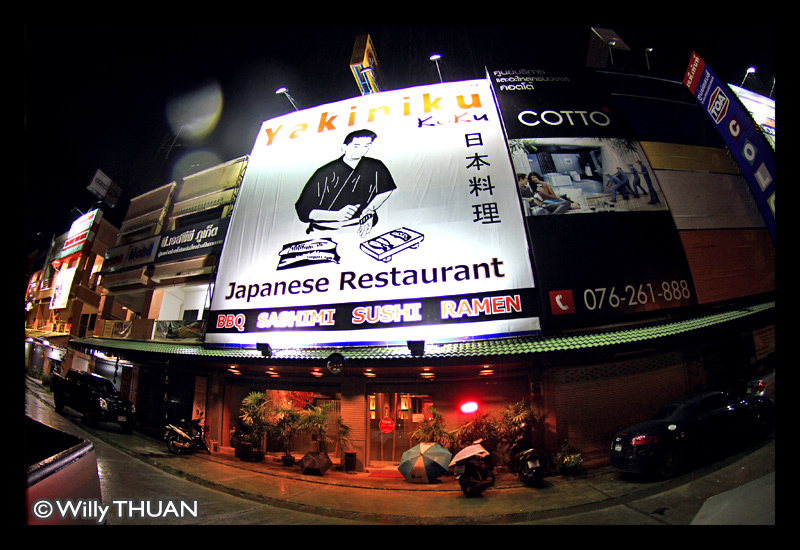 You will find several of these Yakiniku in Phuket, including a large one at Central Festival Shopping Mall, but we prefer the Japanese ‘Koku Yakiniku’, on the by-pass road not far from Tesco Lotus. 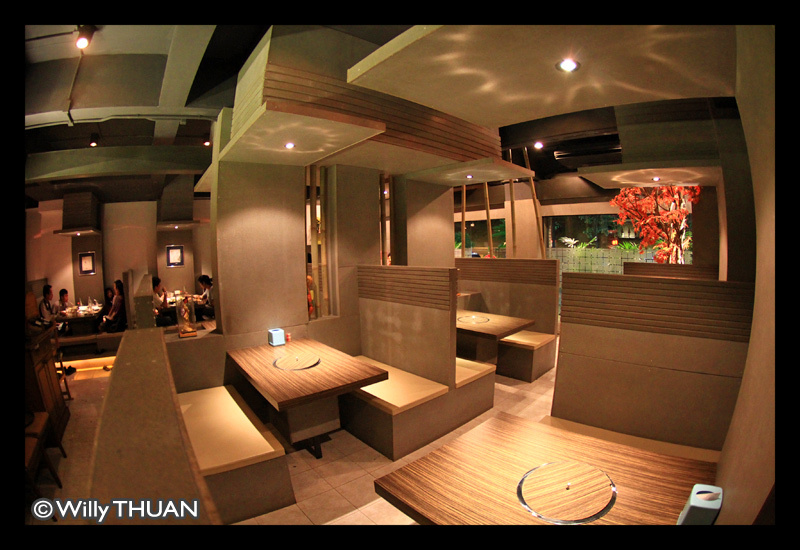 The restaurant is definitely Japanese looking with the traditional cushion sitting area on one side and the normal tables on the other. Each table is fitted with a hole designed to receive incandescent charcoal and is equipped with a strong ventilation system. This is what will reduce the 3 meter smelly radius to a mere 50 cm… you can’t hide it all! 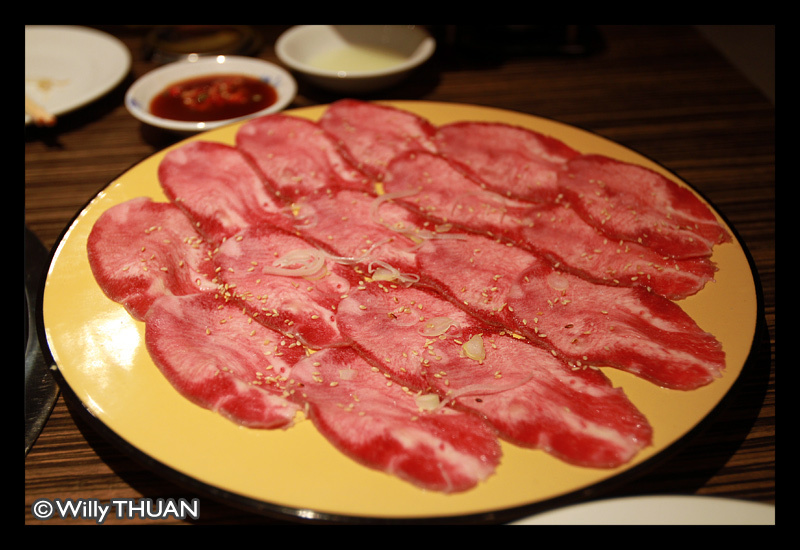 Menu includes plates of thinly sliced meat at various prices and qualities, but overall if all are good, the most expensive cuts are justified. 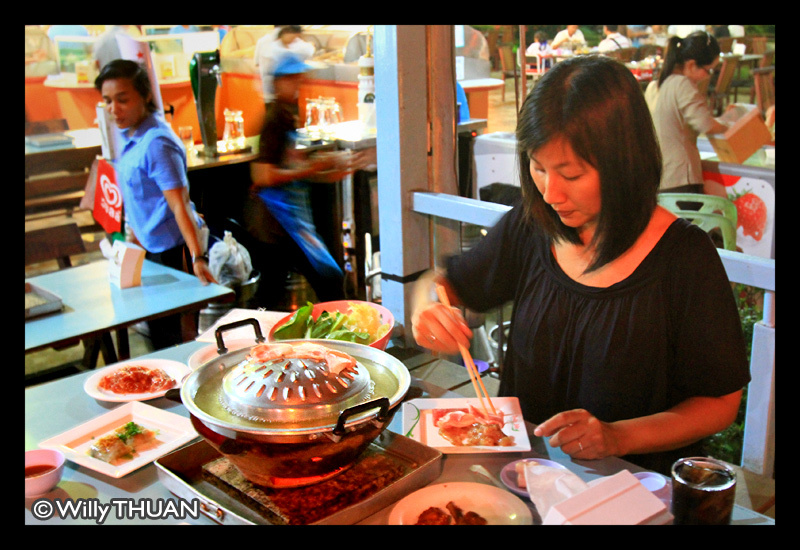 Try the Thai Kobe beef, which you guessed it, is a the Thai version of the famous and extremely expensive Kobe Beef. 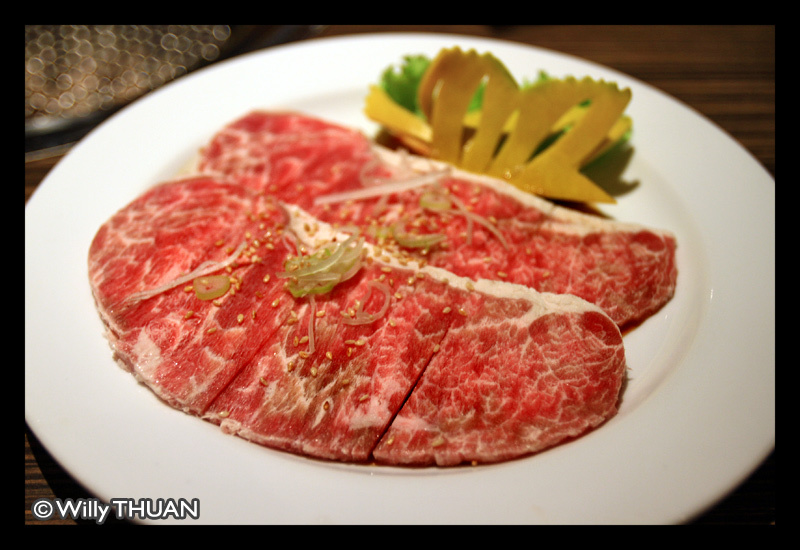 The price of the Wagyu beef is a bit over the top, but it is worth it. 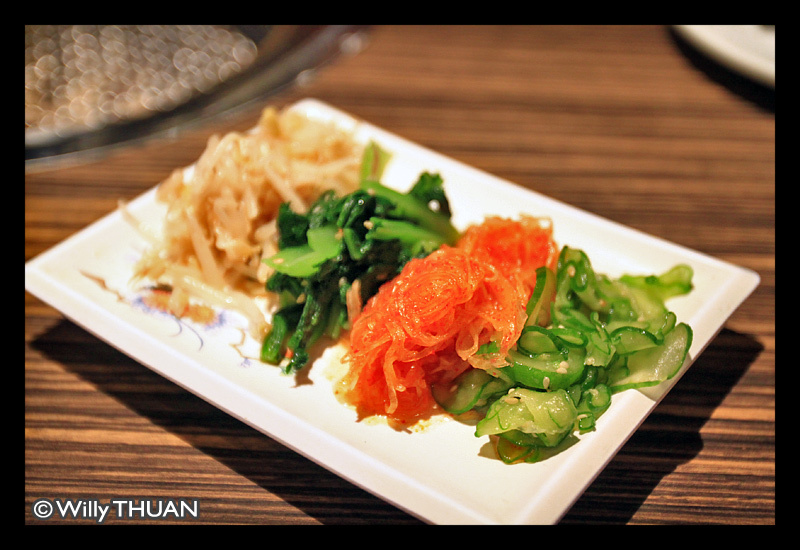 You can order some seafood and various veggies to grill yourself. 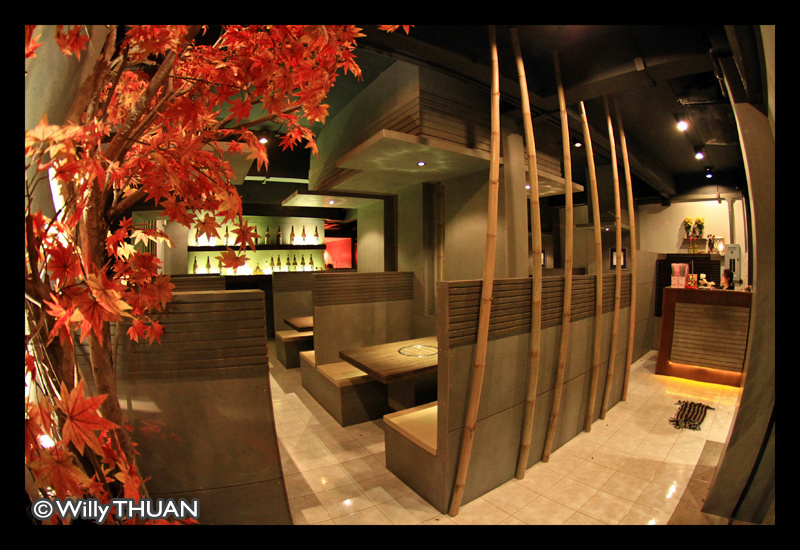 Koku is a Japanese restaurant and you’ll find sushis and ramen on the menu, but where would the fun be? 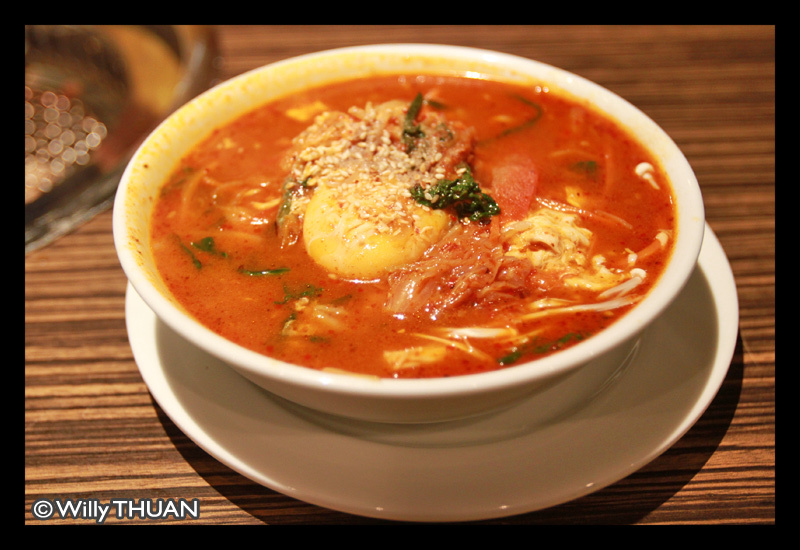 They also serve an excellent selection of spicy kimchi soups that goes really well after so much meat, and if you want to go all the way, go ahead and order some sake. Moo Kata Sam Kong Not far from Bangkok Phuket Hospital (see # 61 on the map below).